Tracy Sharp is a woman with Down syndrome who had a dream. Her goal was to be a flight attendant. Tracy loves the idea of working for the airline and helping people have safe and fun travels. 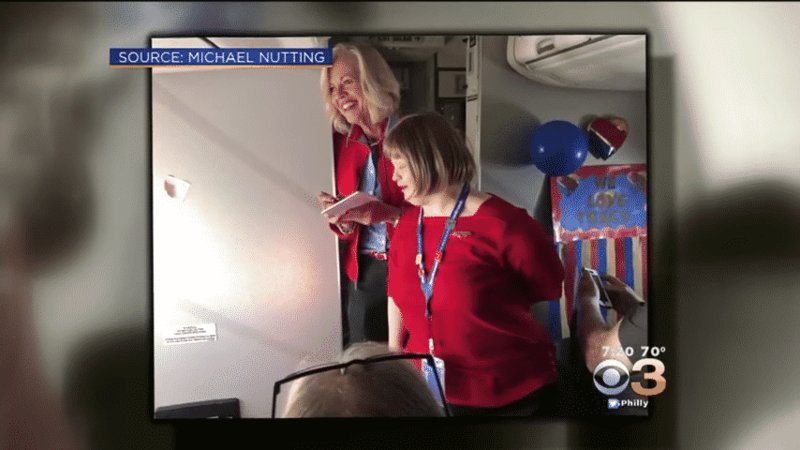 Thankfully, a chance encounter with a flight attendant helped her see her dream come true. Tracy is a California woman with a passion for flying. Although she has Down syndrome, that hasn’t stopped Tracy from working toward her goals. Her biggest dream is to become a flight attendant. 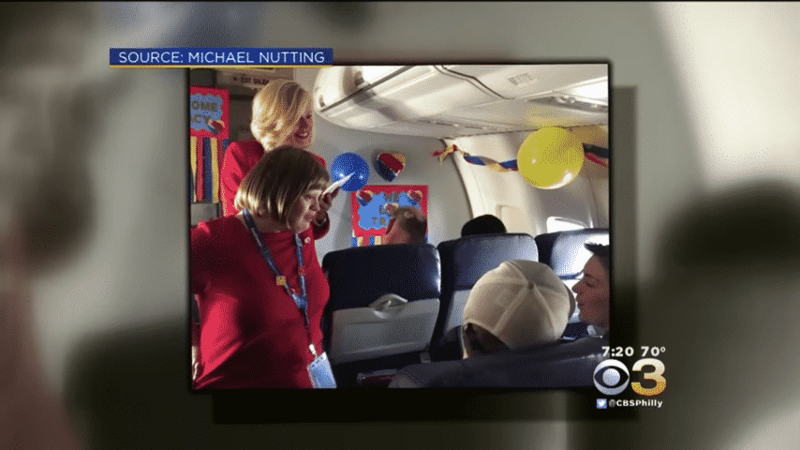 On a flight with Southwest Airlines, she shared her passion and something amazing occurred. Tracy and her parents were flying from Texas to Sacramento when she started chatting with Vicki Heath. 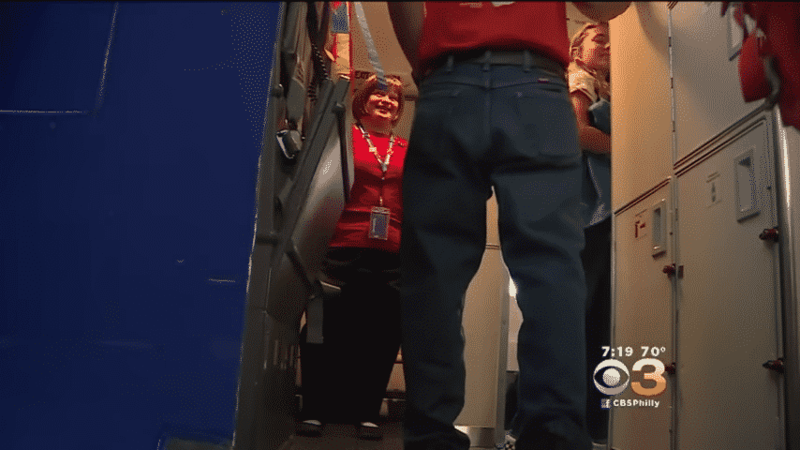 Vicki is a flight attendant from Southwest who epitomizes customer service. She hit it off with Tracy immediately, since the two had a love of flight in common. Then Tracy told Vicki her dream. Vicki was excited when she heard about Tracy’s plans. The young woman made quite an impression on her.“Just look at that smile!” Vicki said about their first meeting. She knew right away that she could help her fulfill her ambition to be a flight attendant. Although the flight ended and Tracy proceeded to her destination, Vicki couldn’t stop thinking about ways to make Tracy’s dream come true. 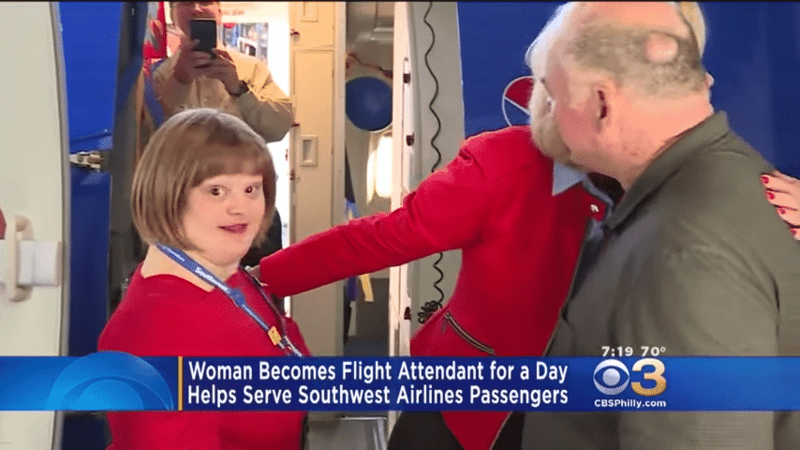 She started calling around Southwest Airlines to see what could be done to give Tracy a flight experience. After a few months of planning, Vicki got back in touch with Tracy. She had a proposition: would Tracy be willing to fly with her as an assistant flight attendant? Tracy gladly accepted. She would accompany Vicki on a flight from Sacramento to Seattle in August of 2018. Tracy was incredibly excited about the chance to live her dream. She couldn’t wait to announce her big news. “I told the rest of my family about it [right away],” she told CBS News. She wasted no time getting prepared for the flight. 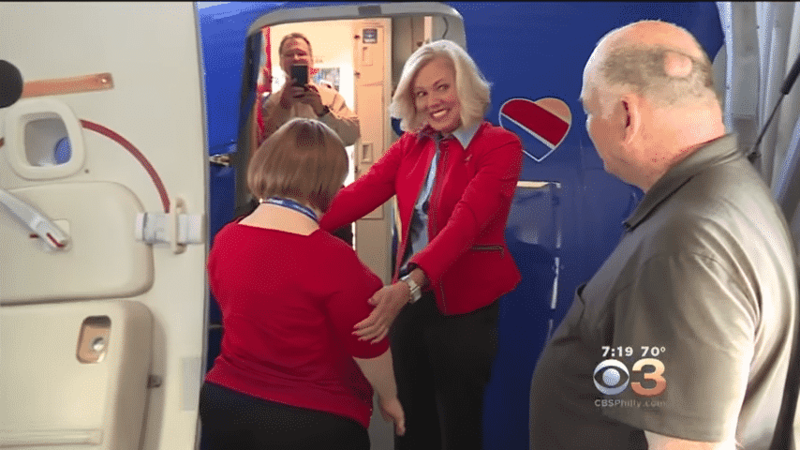 Southwest rolled out the red carpet to give Tracy the most authentic experience possible. 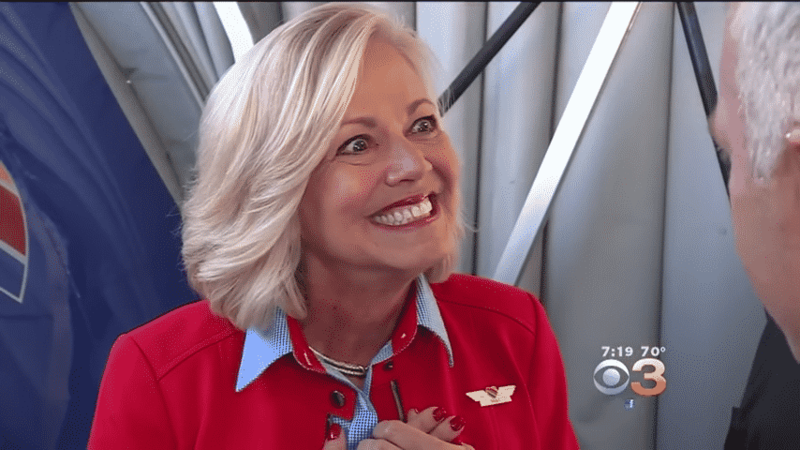 They gave her official Southwest “wings” that all flight attendants and pilots wear. 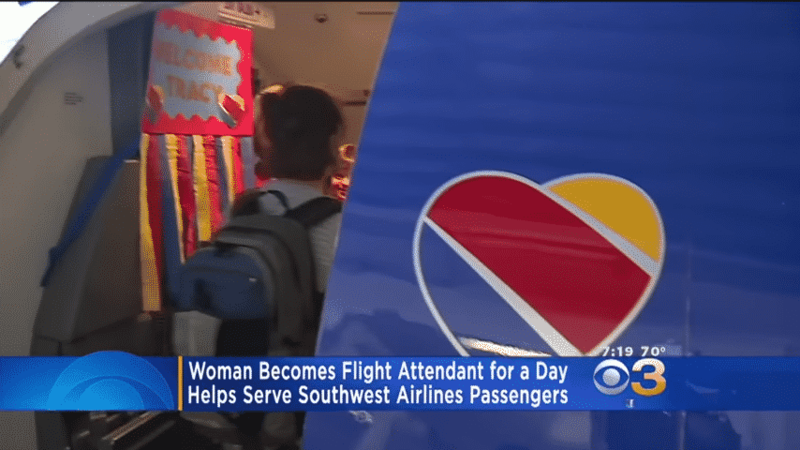 She also got a lanyard of special airline pins, an official Southwest badge with photograph, a backpack, and everything else she needed for the flight. 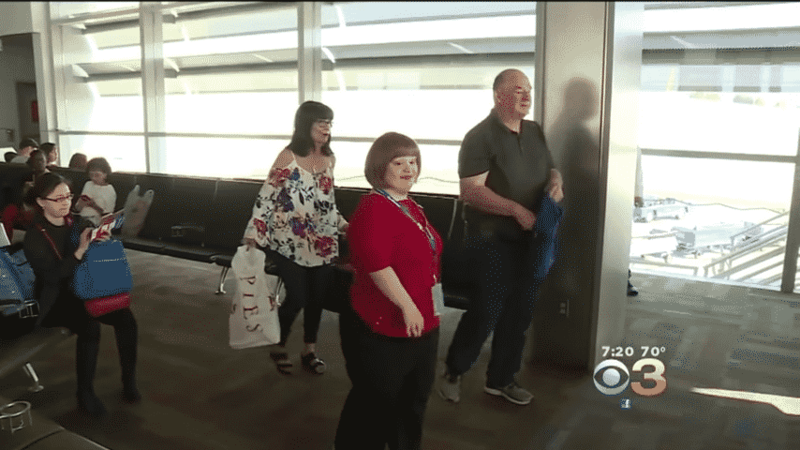 When the special day came, Tracy and Vicky left Sacramento International Airport. They had a fun and uneventful flight where Tracy got to walk down the aisle and assist passengers. She arrived in Seattle and then did a return trip. On both flights, Tracy was great. She showed she could be a flight attendant. Tracy’s parents also were part of their daughter’s special day. They joined the duo on one leg of the flight. And there was one more thing that made this an incredible flight. Tracy’s parents were celebrating their wedding anniversary. Their daughter got to serve them each a glass of champagne. It was a memory that would last a lifetime. “I can’t believe that she gets the opportunity to do something that she’s wanted to do,” said Linda, Tracy’s mom. Her father Terry agreed. “It’s just amazing what they’re doing for Tracy,” Tracy’s dad Terry told reporters. 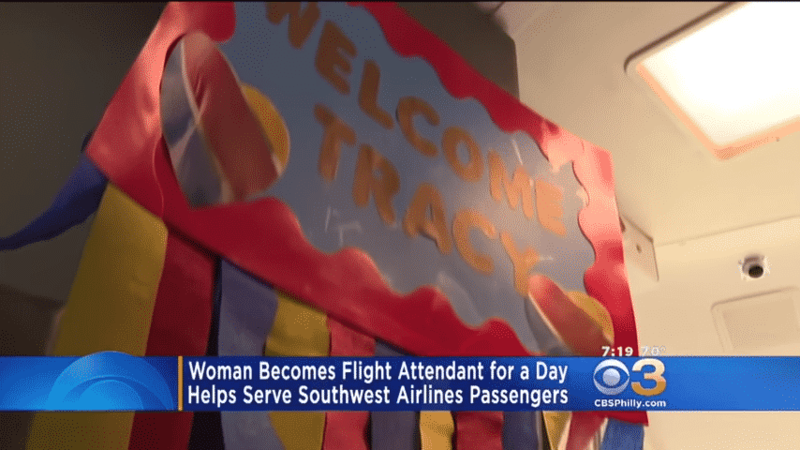 Everyone at Southwest, including the pilots, were so excited about the opportunity to help her Tracy fulfill a dream. When passengers found out what was happening, they were also thrilled to support Tracy. They greeted her with high-fives. 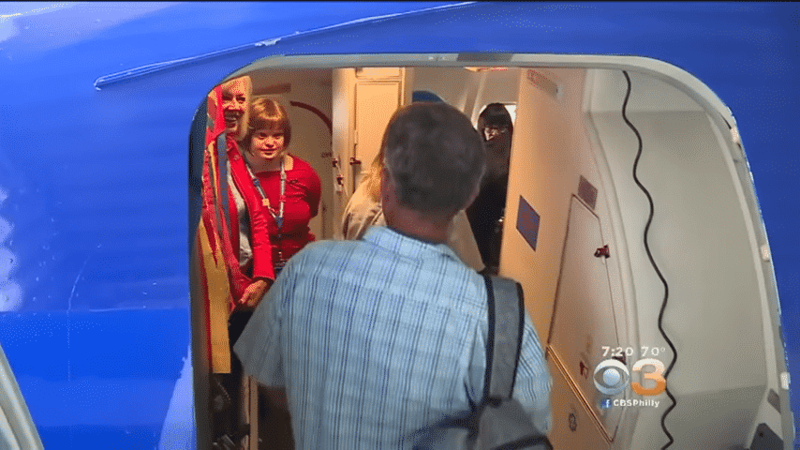 As the flight landed back in Sacramento, the passengers broke into applause. 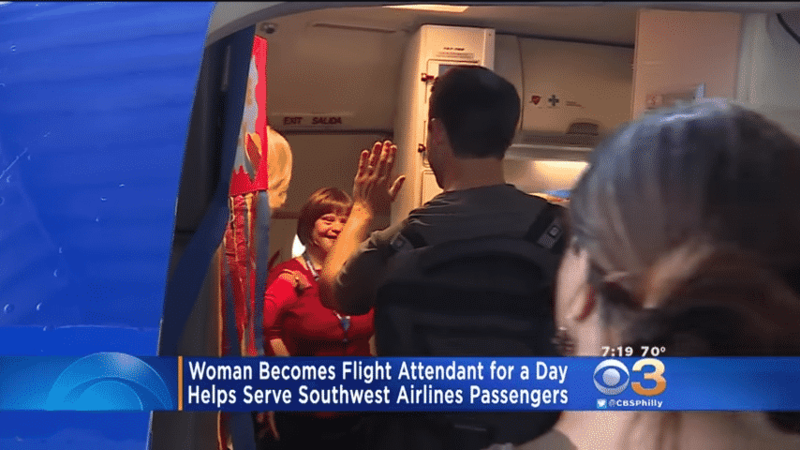 Southwest is known for having fun flight experiences, and this time around everyone got a chance to do something positive. It was a wonderful example of people coming together!